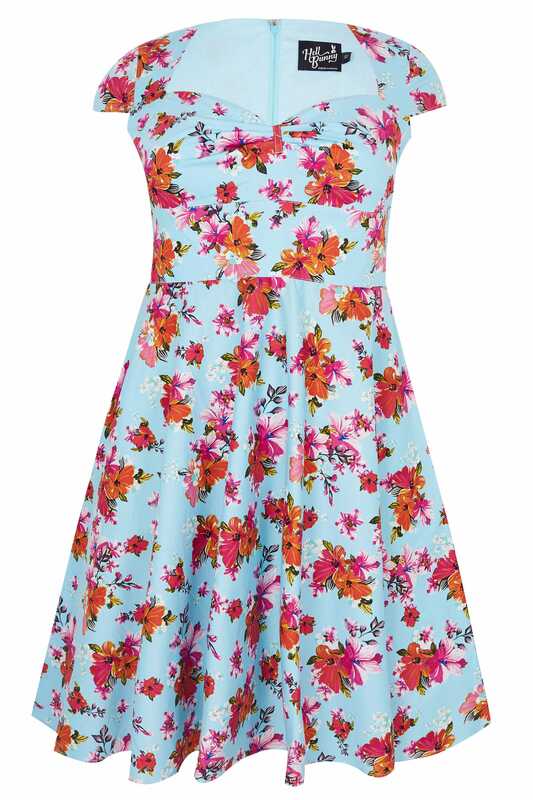 Jet off into the sunshine in this floral printed dress from Hell Bunny. 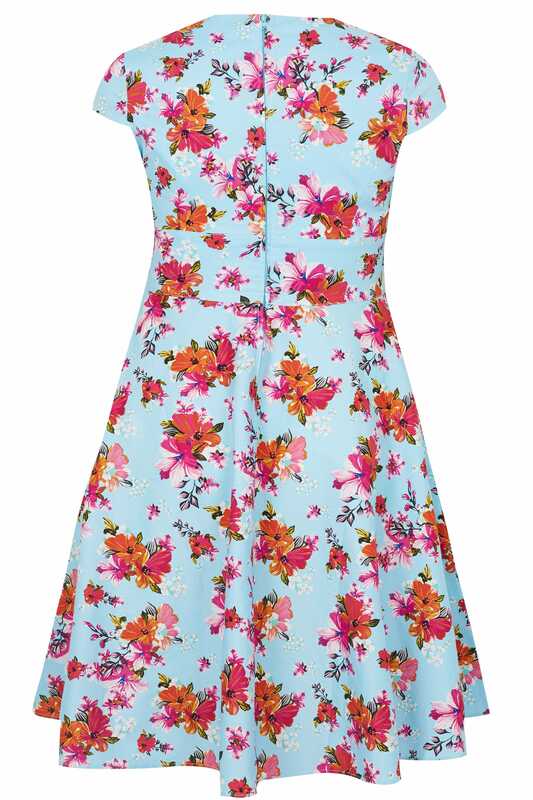 In a 50s-inspired skater style, it features a ruched sweetheart neckline and short cap sleeves. 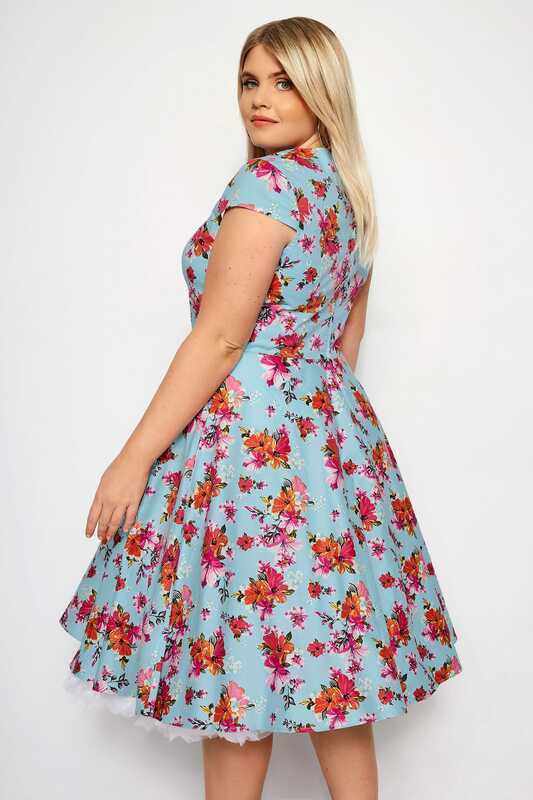 The perfect piece for a beach wedding or sunset dinner, simply add wedges and floral hair accessories for a Tropicana-inspired look.